Did you know that we have 3 extending console tables? This Console table seats 10! Honestly, it really does! Console is part of our new range of space saving tables & coffee tables that offer unbelievable seating options in a space that’s, well almost impossible to believe. Measuring just 47cm when closed, it extends to a whooping 239cm giving you a full size dining table for 10 guests. Imagine the convenience of converting your side/console table into a dining table in less than 30 seconds – cleverly hidden inside this console table are the three leaves required to extend it. 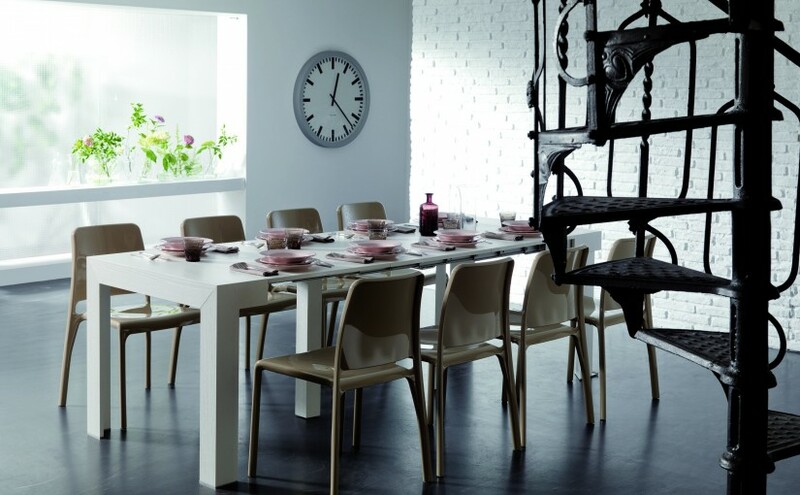 In one simple movement the telescopic action of this table opens to extend the seating options from 4/6 or 10 spaces. 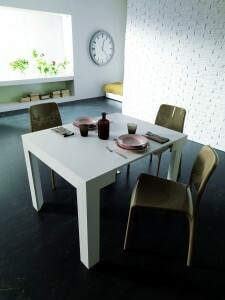 It features, when fully extended, a central leg support so even at full stretch, the table is very sturdy. Finished in a range of real wood veneers, this table is as attractive as it is functional. Console is priced from £1995 including delivery, installation and demonstration. Naturally, we will remove all the packaging for recycling too. All our Table products are guaranteed for 2 years. Our Console table is available to view at our London showroom, and is in stock in Ash Grey for quick delivery. A range of space saving chairs are available to match our Console table. For more information or to make an appointment to come and see our Console table – and our other innovative products – call on 0208 451 6999. What colours do the extendable console tables come in and what is lead/delivery time please? Ohhhhh wow such an amazing range of Console Tables. Please let me know the dimensions of the Extending Console Tables. Free Home Delivery is there or not?